I Following the planned withdrawal of US forces from Syria by President Trump, the Sunni Arab Allies of America have confirmed the continued rule of Syrian President Bashar Assad over his slaughtered nation. 1, with the vast majority of those killed being Sunni. Assad is also a close ally of the Sunni's most dedicated opponent, Iran. These factors should make Assad an enemy of the Sunni kingdoms. 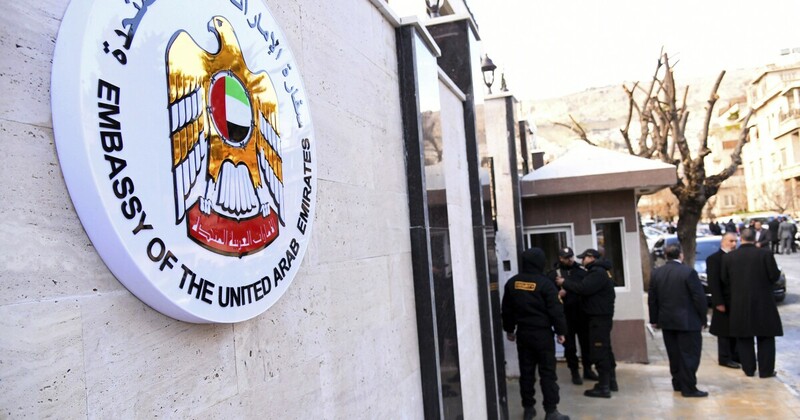 Nevertheless, the reopening of the Embassy of the United Arab Emirates in Damascus was expected this week. Led by Special Envoy Jim Jeffrey, the US had pressured the Sunni kingdoms to avoid diplomatic contacts with Assad. The US claimed that this reluctance would trigger larger concessions from Assad and his Russian sponsor for a political transition in Syria. And the kingdoms had been listening until now. But now, with the US withdrawing from Syria, the kingdoms are feeling that America's interest in Assad has come under pressure. The kingdoms, on the other hand, feel that they must choose one of two options: either pressure Assad alone or take control of Syria in return for some meager concessions. This decision leads us to the problem with Trump's central Syrian dispute. This means that allies can and should solve their problems alone. Assuming that US allies can operate outside the US leadership, the complex alliance against them is misjudged – in this case, the Hydra of Assad, Russia and Iran. The worst scenario of the American allies is that they lose all influence with Assad and Russia and thus face a single Iran. This is a move they can not entertain. So we see what we see: it deals with the devil who is hurting his own interests in the hope that worse damage can be avoided. There is an outstanding winner here: Vladimir Putin. The Russian leader has abused America's role in Syria to assert itself as a reliable mediator of the interests of the Middle East. Expect the Sunni kingdoms to reward Putin with new trade agreements and new obstacles to other US interests.